Aromatherapy Necklace (oil not included) - I don't know about you, but typically the times I am most in need of aromatherapy are in the middle of hectic work day, or when I'm struck in traffic, or basically anytime I'm not able to whip out my diffuser. This necklace lets you take the scent with you. Just take a whiff when you are in need of an energy boost, help calming down, or whatever other benefit you are seeking from aromatherapy! Plus they look pretty! Hello! 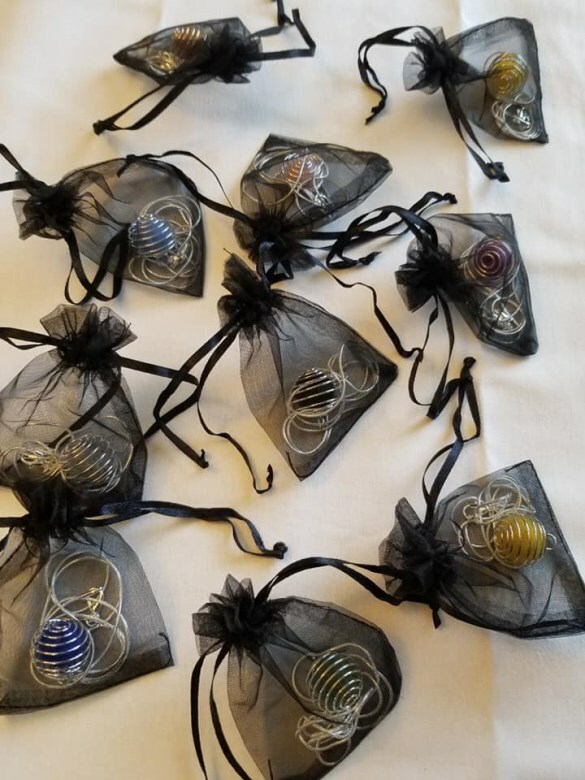 I am selling these aromatherapy necklaces I made for $18 each. Note that this price is only for the necklace, and you add your own oil. The necklace is a 24 in. snake chain. The pendant is a sphere with a diameter of approximately 18 mm. Colors available include gray, blush pink, sky blue, amber, yellow (two available), kelly green, and purple. These would make a nice gift for mother's day. You could also put one in an Easter egg for an adult. I think the yellow and amber necklaces would be especially cute for spring/summer as they remind me of beehives! Be sure to specify which color you would like, or I will send a color at random. Thank you! This item ships from United States. An additional charge of $2.00 will be added to each order for the current item.